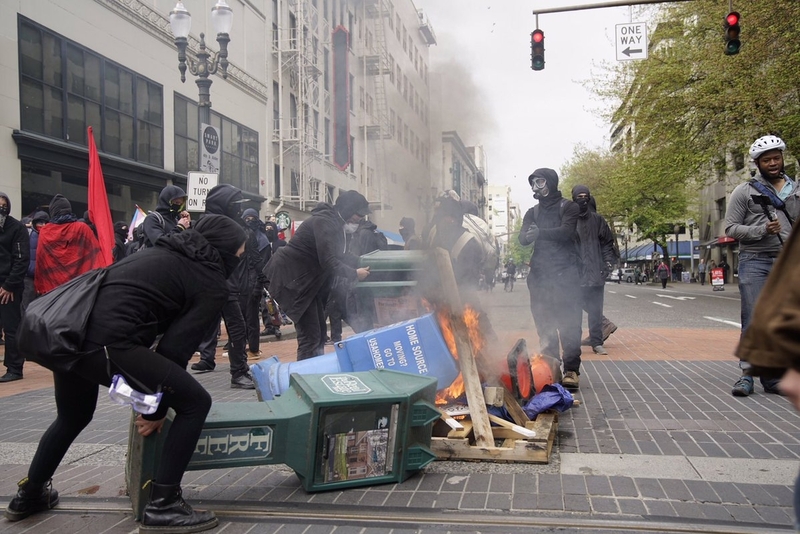 An analysis of this years May Day demo in Olympia, Washington. 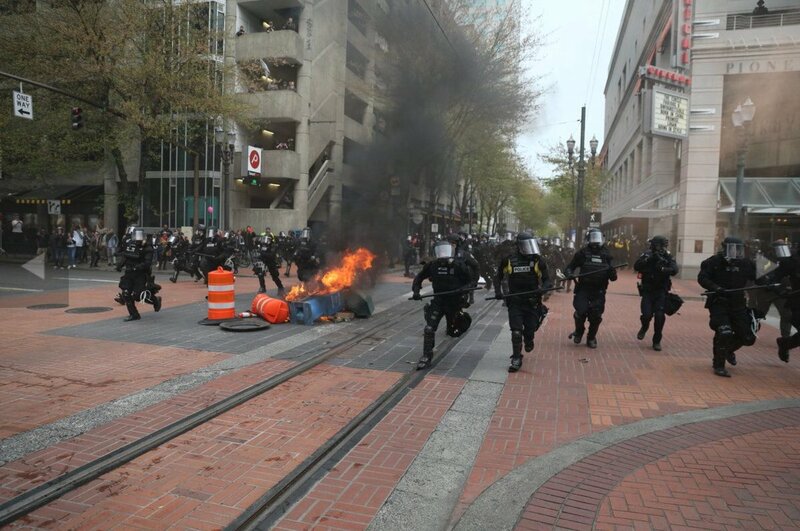 In Portland, Oregan Black Bloc activists clashed with police during this years May Day protests. 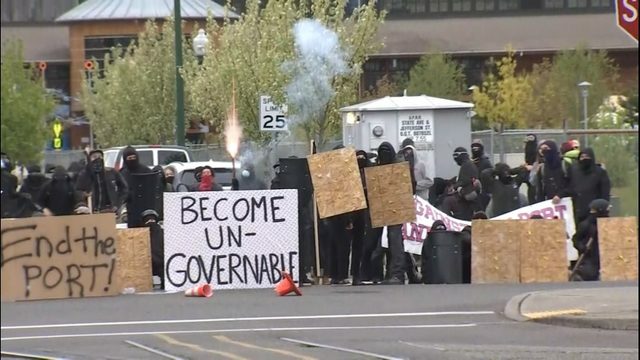 Reportback from the May Day protests in Olympia, Washington. 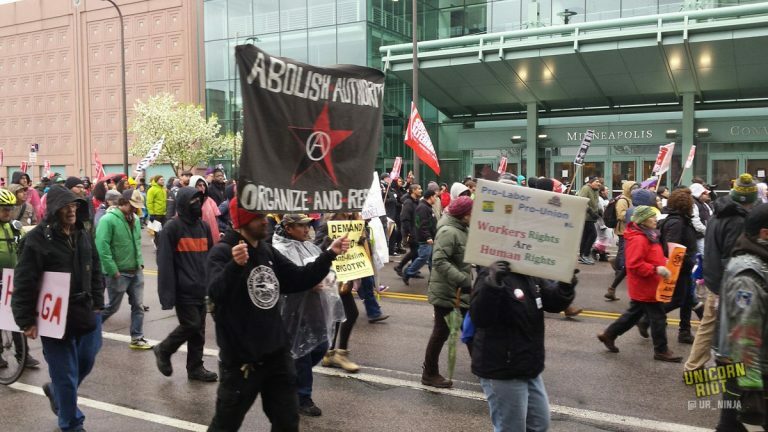 #Mayday: The Bay Shut Down ICE, The Ports & the Streets! Thousands of workers, trade unionists and youth protested SF ICE and the ILWU shutdown the bay area ports. Rallies were held throughout San Francisco and other cities in the Bay area. 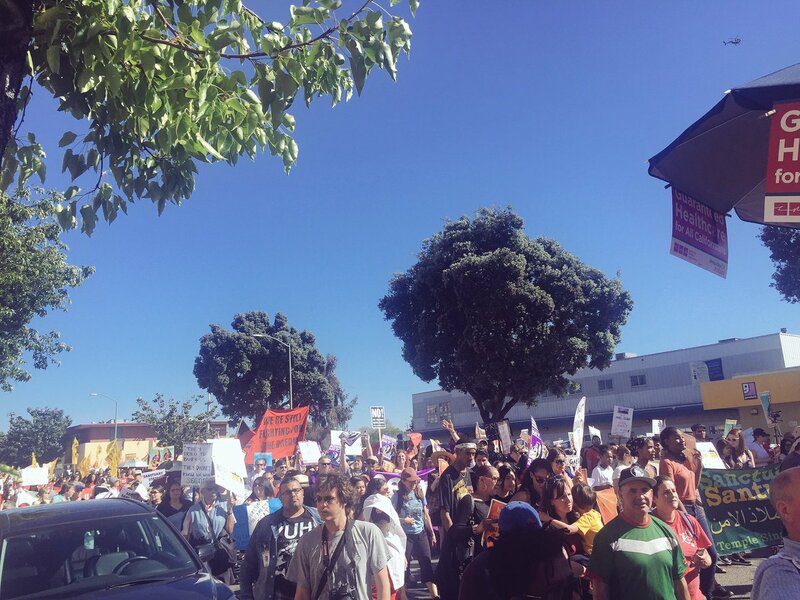 Continue reading #Mayday: The Bay Shut Down ICE, The Ports & the Streets! Solidarity with City Plaza in Athens and all other squats on the planet! Friedel 54 in Berlin will stay! Take the streets for an autonomous May Day! 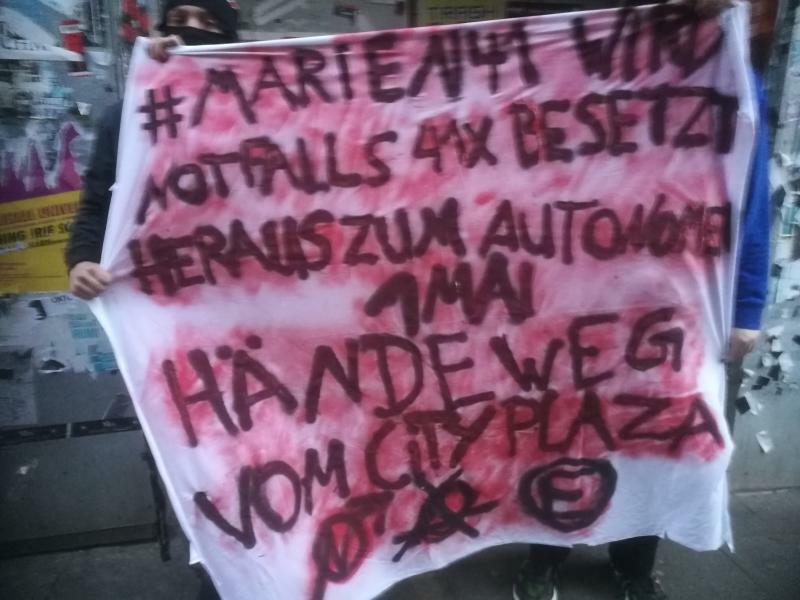 Today, the 30th of April we did a small action in front of the building at Marien street 41 to create awareness of the many empty buildings at the Ölberg district and the repression against self-organised housing projects. It was an action in front of the building. Still. Image: Small action in front of Marien 41 in Wuppertal, Germany earlier today. 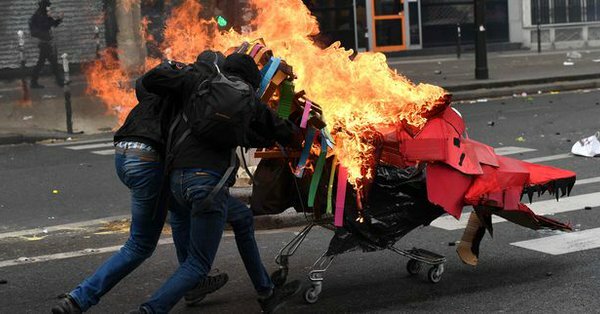 Call: #MayDay 2017 – We Are Poor Because They Are Rich… & It’s Right to Revolt! 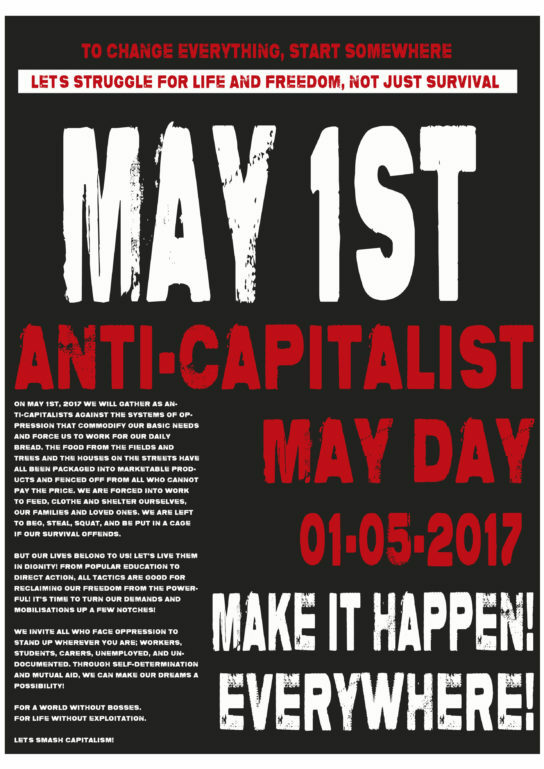 Call-out and additional statement by the 1M collective from so-called Australia with more information about Mayday. 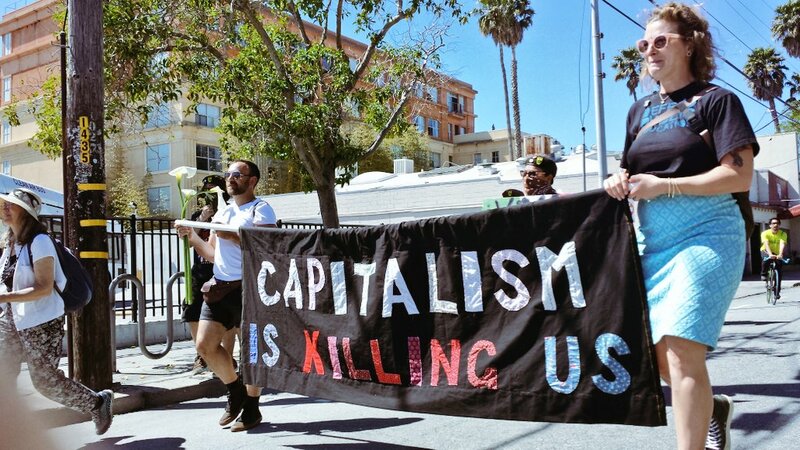 Continue reading Call: #MayDay 2017 – We Are Poor Because They Are Rich… & It’s Right to Revolt!